LOCATION! LOCATION! Hurry! Only one available suite of approximately 1,300 square feet. Bring your business to this high traffic location. The retail center is located at the signalized northeast corner of Philadelphia Street and Ramona Avenue. The center is conveniently located 1 block north of the CA-60 freeway Ramona Avenue off-ramp. Ramona Avenue runs north and south, and connects the city of Chino to Montclair to the north and Chino Hills to the south. The suite is currently in use as a hair salon but can be modified to multiple uses. The center is well maintained and clean, and an ideal location for any business. 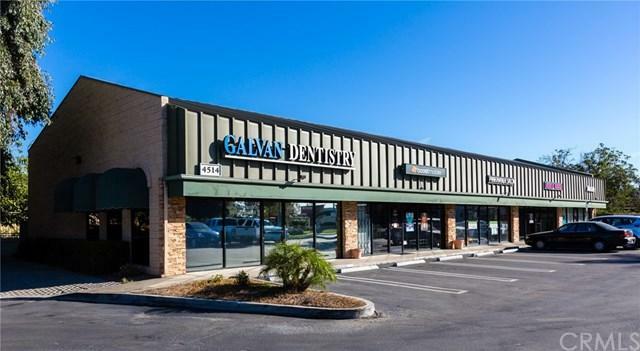 Co-tenants include other professionals such as Allstate Insurance, Boost Mobile, Dental Office, and the American Barbershop.